I have been running for 21 years. I started running in my late thirties as a good way of keeping fit. 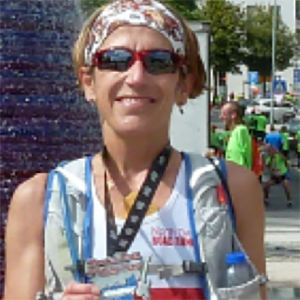 I qualified as a England Athletics level 2 coach specialising in endurance running in 2007. I find it very rewarding helping both beginner and more experienced runners develop and progress. It’s great to see runners grow in confidence as they gradually work towards and achieve their goals over various distances from 5k to 50k+ Thursday evening sessions are structured coaching sessions. They are a fun way of working hard with ALL abilities catered for. My favourite run would be a nice muddy trail through woodland and I especially enjoy a good off-road self navigating marathon. 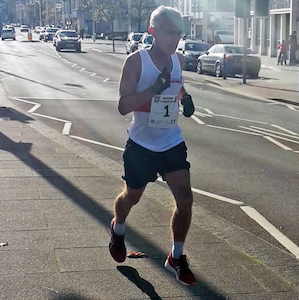 My proudest running achievement was when I became a member of the 100 marathon club at the Barnstaple marathon in 2016. What’s my next target? 200 Marathons of course! 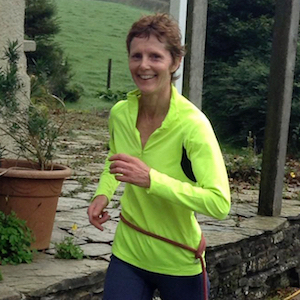 I have always enjoyed running, and since we moved to North Devon in 2002 it has become my main hobby. I joined NDRR in 2008, to improve my running ability and to meet other runners. Since then I have entered many different runs from 10k up to marathon distance. 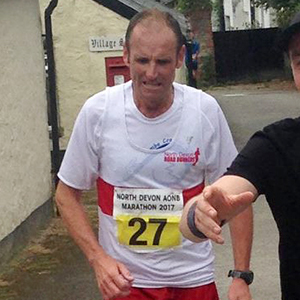 I have completed road marathons, (a couple abroad) and enjoy the off road marathons in North Devon. My favourite type of running is off road on the coastal pathways of North Devon. The coaching on Thursday evenings at the club gave me structure and encouragement. I have completed the Leadership In Running Fitness and the Coaching Assistant Course. I got into running through the Race for Life 2003 (always hated running at school…) and I have been a member of the NDRR’s since 2005. I love how sociable the club is and it also introduced me to all the different aspects of running. In order to give something back and hopefully motivate people new to running I got into coaching in late 2013 - beginner’s courses at first as well as the structured Thursday sessions. My philosophy is: You do these sessions because they are hard and you get out of it what you put in. Please approach me anytime for training advice, race schedules, stretching, nutrition, strengthening and core exercises, (most important to become a stronger and injury free runner), motivational tips etc. If I don’t know the answer I am happy to research it for you! I love running as you can do it anytime, anywhere and for being out in the fresh air (in any weather…). It is my stress reliever, happy pill and very sociable (great for chatting!) Running taught me a lot about myself – and I am a big believer how important mental strength and positivity are ? the body achieves what the mind believes . I usually run four times a week and do two cross training sessions (circuits, strength training and spinning classes in the winter). 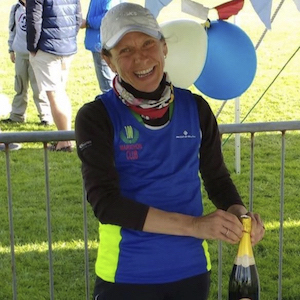 I am more of a longer distance runner – half marathons, 10 milers – and I like to do one marathon a year (usually incorporating it with an exciting city break). My non-sport related hobbies are travelling, scuba diving & trekking. I started running in 2004 when I had a sedentary job and found I was putting on weight. I have completed 8 marathons, each in a different country with times ranging from 3:16 to 4:35. I now run to keep fit; enjoying a long slow conversational run at the weekend, and then the two club sessions; a faster run on Tuesday and interval workout on Thursday. I have formal coaching qualifications in adventure sports and a background in personal development. I am happy to use my experience to support other member's running ambitions through discussing different programmes and/or one to one mentoring/feedback. Running seriously since 2000 for Epsom & Ewell Harriers in Surrey, doing track races, relays, x-country and road races up to marathon distance. Thus far: 28 Marathons completed, 11 London’s, several in Europe, 3 North Devon. Personal Best: Marathon 2.58 (London 2008), Half Marathon 1.19 (New Forest 2001), seems a long time ago now! Have coached a lot of sessions over the years, so am now happy to try pass on what has worked for me. 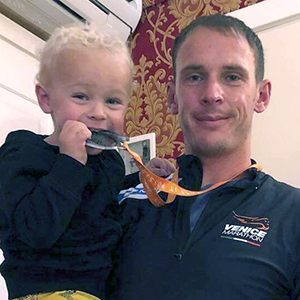 I started running when I joined North Devon Road Runners back in 2015. Since then, I have ran 8 marathons, numerous half marathons and tried out triathlons and open water swimming. I like to run on Saturday mornings at Barnstaple parkrun and in May 2018 I set up Barnstaple junior parkrun which is going from strength to strength. I have a degree in Applied Sports Science and Coaching and I am a qualified England Athletics coach after recently completing my ‘Leadership in Running Fitness’ qualification. I am a Primary school teacher specialising in PE and I am currently teaching PE across three primary schools in the Barnstaple area. Not only do I enjoy running but I am also passionate about promoting running, exercise and sport in general to everyone, especially children.